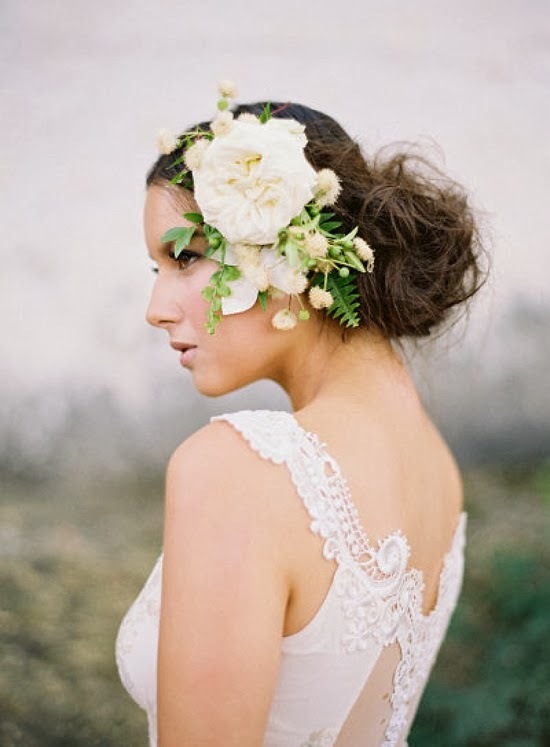 Bridal hair flowers are one of the most fashionable accessories that will add an elegant touch to any bridal gown. 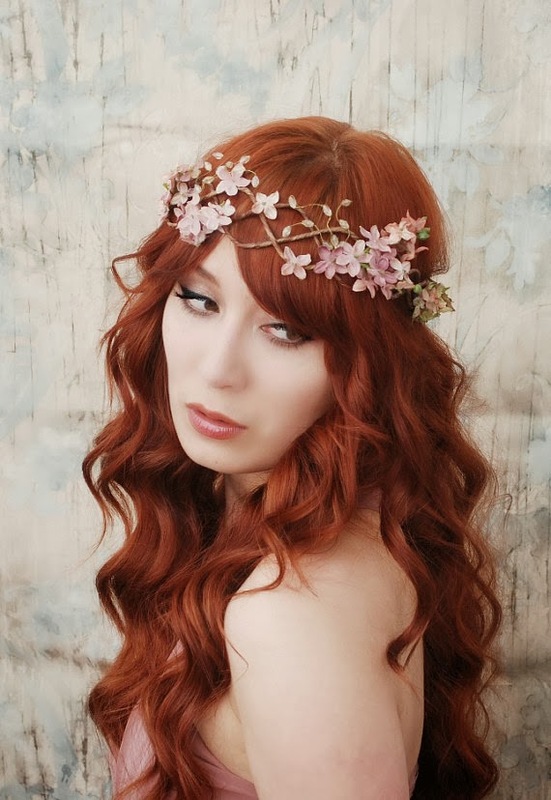 Add a gorgeous birdcage or illusion veil and you will have an awesome one of a kind floral hair piece! 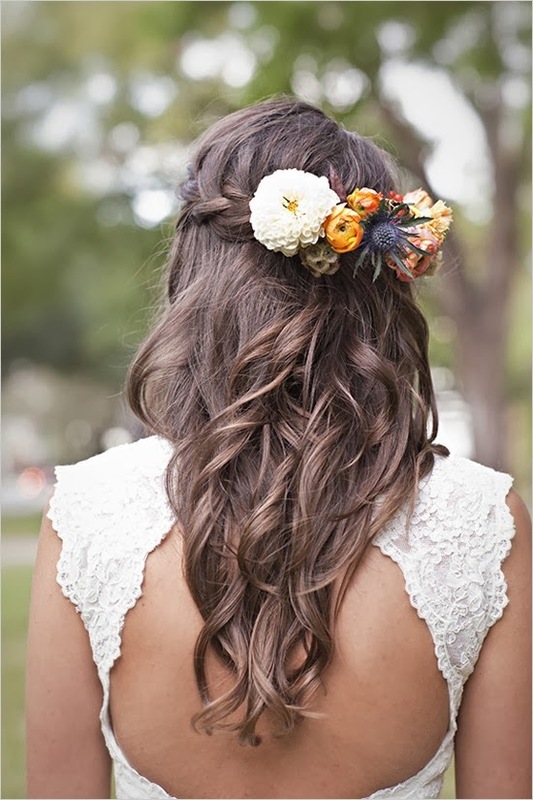 Some brides prefer using their favorite fresh flowers to adorn their hair. Many flowers such as gardenia, lilies, and freesia have an intoxicating fragrance that fills the air with a sweet perfume. Fresh ivy leaves, myrtle and boxwood will make a beautiful green backdrop to set off the beautiful colors of the flowers. If you prefer not to have a strong fragrance, there are many flowers that can be used. 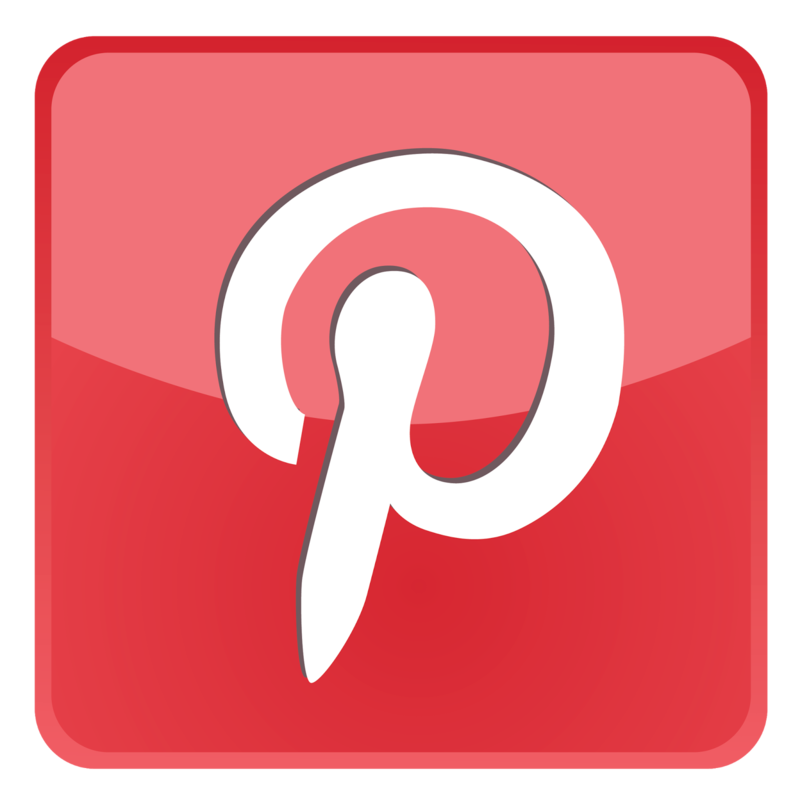 Most florist roses do not have a fragrance because they are cut before they have fully opened. Unless you purchase them from an organic supplier, the flowers actually have a chemical which is not pleasant at all! Whole Foods is a wonderful source for organically grown flowers. They can be worn in the hair as well as placed on the wedding cake with confidence. If you have a friend or family member who gardens, it is a perfect source for organic flowers. Fresh flowers should be placed in a cool, dark place until the last minute. Cut the stems at a 45 degree angle and place them in cool water. Mist the blooms to keep them well hydrated. A refrigerator is a good storage area (not the freezer!). Just be sure they are not stored next to fruit and vegetables as that will destroy them. Fruits and vegetables give off an ethylene gas that is toxic to flowers. For small floral pieces such as corsages and hair clips, an insulated ice chest filled with ice is a good storage container. To prepare a fresh flower for a hair clip or comb, you will need two pieces of florist wire, florist tape, a piece of cotton, and an alligator clip or hair comb. Cut the flower stem very short and insert a wire in the north to south direction. Cut another wire and insert in the east to west position. Bend the wires down to form a stem and insert a moistened cotton piece on the end of the flower stem. Wrap with florist tape from the base of the flower to the end of the wire. Cut the length you need to wrap around an alligator clip. It's a good idea to keep an extra flower on standby in case one gets damaged or looses a petal. 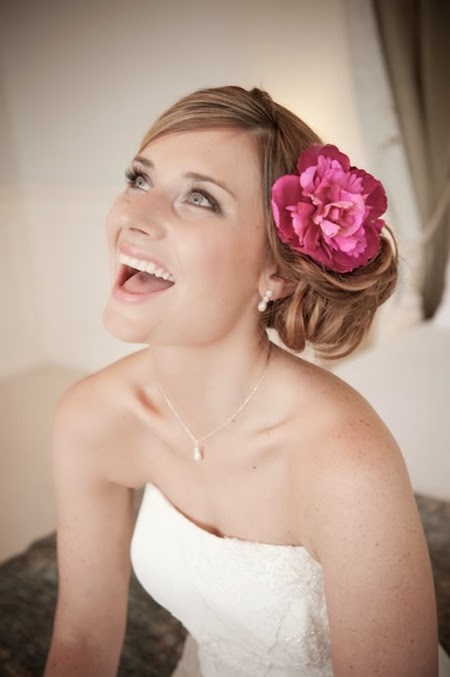 If you choose to wear a veil, the flower clip can also be used to help hold the veil in place. 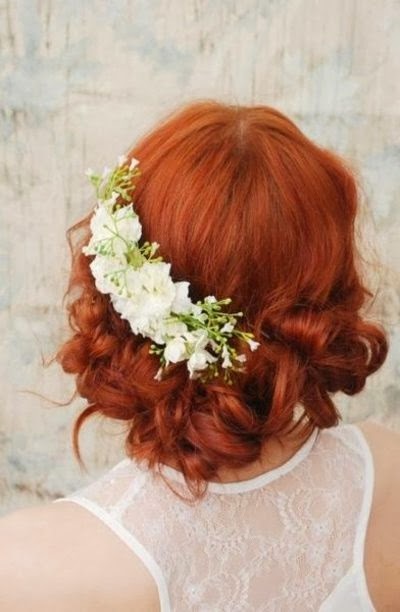 A birdcage veil can be attached with bobby pins first and then add the fresh flower clip to cover the bobby pins. Since feathers are being used as wedding hair accessories, there is no reason they can't be used with fresh flowers as well. Plan the design before you begin. Prepare the flower and the feather in the same way (without the moistened cotton for the feather). Bring the stems together and use florist tape to bind them together. 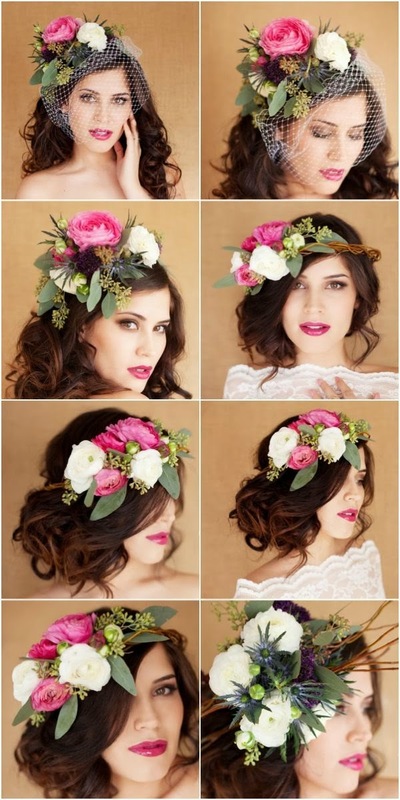 Not only are bridal hair flowers one of the most important accessories for today's bride, they can be a real show stopper, especially for the photos!